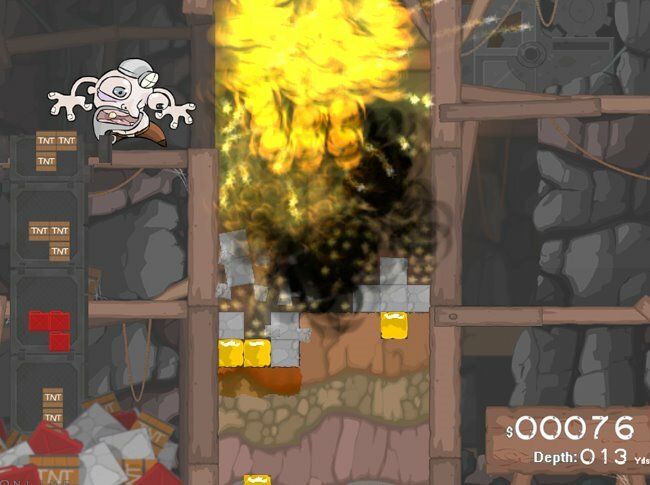 Blast Miner is a physics based game where you use TNT, gasoline and stones to cause huge explosions that blast through the earth. There's a comprehensive preview and developer chat with one of it's creators on Game Tunnel. They have also released several other freeware projects in the past including Carious Weltling, Carious Weltling 2, Viviparous Dumpling and Clubby the Seal.